Refresh your face, on the go. 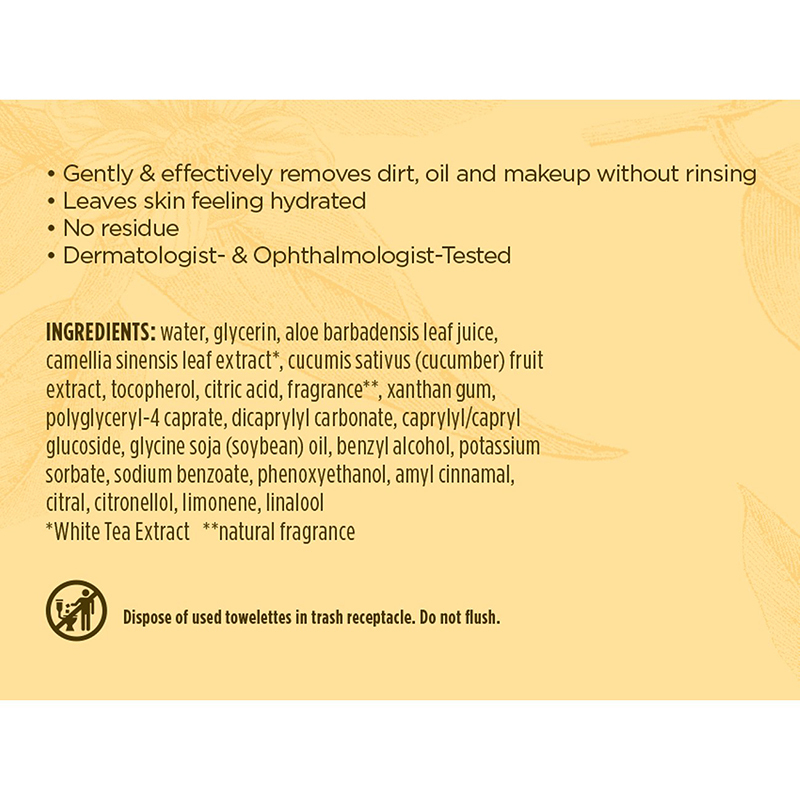 Facial Cleansing Towelettes with White Tea Extract is rated 4.5 out of 5 by 80. 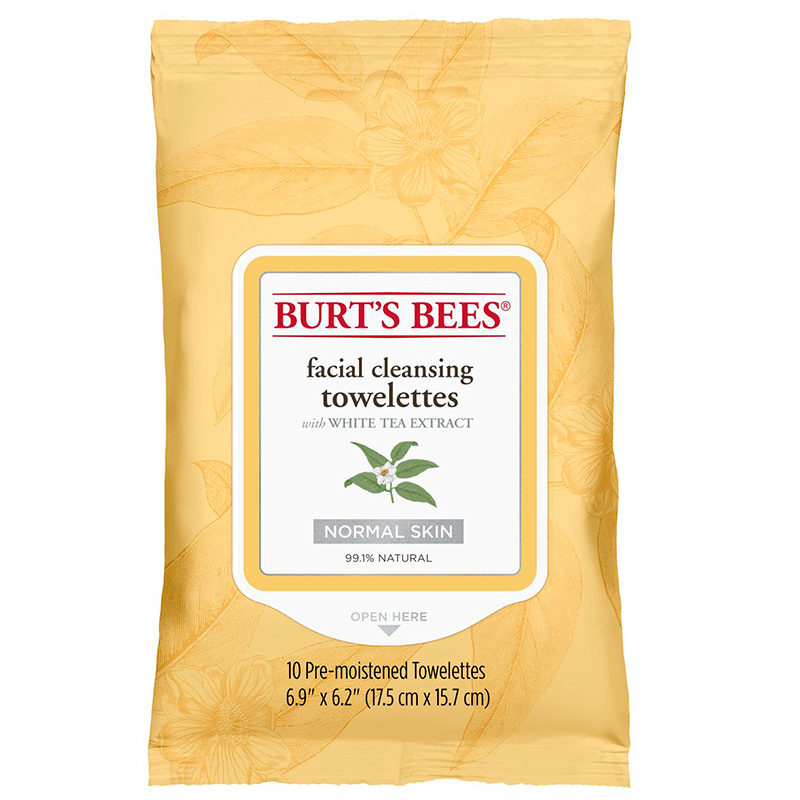 Put your freshest face forward no matter where you're headed with these one-step cleansing wipes for all skin types. Gently cleanse your face of dirt, oil, and makeup while treating it to a refreshing dose of Cucumber and Aloe, and then get back to your day—no rinsing required. Over 1500 years old, White Tea is an amazing thing. 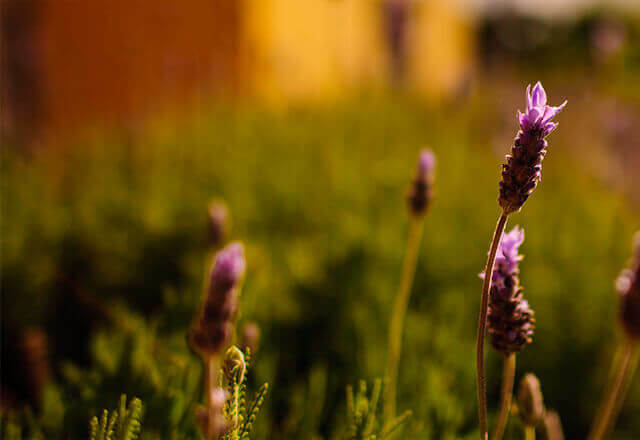 It has three times more polyphenols as Green Tea and is believed to neutralize free radicals as well as help minimize damage from environmental pollutants. Ingredients: Aqua (water), aloe barbadensis leaf juice, glycerin, camellia sinensis leaf extract, cucumis sativus (cucumber) fruit extract, tocopherol, citric acid, parfum (natural fragrance), xanthan gum, polyglyceryl-4 caprate, dicaprylyl carbonate, caprylyl/capryl glucoside, glycine soja (soybean) oil, benzyl alcohol, potassium sorbate, sodium benzoate, phenoxyethanol, amyl cinnamal, citral, citronellol, limonene, linalool. Gently wipe face with a towelette to remove dirt, oil and make-up. No need to rinse.